Wish you could get a massage every day? You can! Just do abhyanga. Abhyanga, an ancient Ayurvedic therapy technique, is daily self-massage with oil. It takes only a few minutes to do and it is super easy. Of course, if you can’t do it everyday, start with doing it on the weekends. You’ll still reap the benefits. Abhyanga has many advantages. It enhances your immune system, increases circulation, lubricates joints, and decreases anxiety, depression, and stress. It’s also a detoxifying treatment that works on all levels — mind, body and spirit. So, it’s a great practice to take up, especially during a detox. After doing it for awhile, you’ll notice silky, smooth skin, a healthier disposition, and enhanced health. So why not give it a try? Abhyanga can be done before you shower or bathe. Some people like to precede it with a dry skin brushing, an at-home, exfoliating massage technique using a natural bristle brush. I’ve found that when abhyanga is done in the morning, it has a balancing effect and get’s me ready to face whatever may come my way with increased mental alertness and stamina. At night, it helps melt the stresses of the day away ensuring a good night’s sleep, especially when followed by a warm bath, such as this home-made, skin-softening rose-milk bath or re-mineralizing sea salt bath. Cured, cold-pressed sesame oil, which is achieved by heating it to 212°F in a pan before storing it for use, is traditionally used, but if you prefer something else, choose an oil based on how well suited it is for your particular dosha — the Ayurvedic term for your constitution or mind-body type. Curious what your dosha is? Take this free dosha quiz offered by the Chopra Center. According to Ayurveda, there are three kinds of doshas — Vata (space and air), Pitta (fire and water), and Kapha (water and earth). Each one of us is comprised of all three, but in different proportions. Some of us may have way more of one than the other, for example. And, at times, when we are not living in tune with our true nature, our doshas can be thrown out of balance. 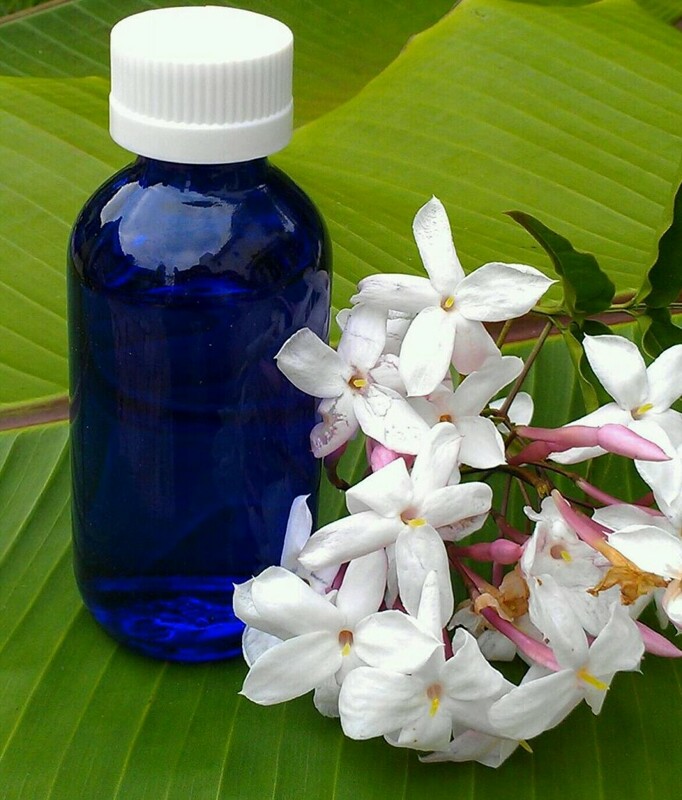 Once you know your dosha, choosing a massage oil is much easier. You can use a single base oil, such as sesame (most consider it tri-doshic), almond (balances Vata), or coconut (balances Pitta). Or, try a pre-mixed, herbalized massage oil scented with natural essential oils specific to your dosha type. This is my preferred choice, because herbalized oils are super luxurious, not to mention therapeutic. Plus, the aromatherapeutic benefits of the essential oils really are uplifting and make the abhyanga massage feel like a true spa experience. Abhyanga is best done using warm oil in a comfortable room. If it’s cold, you’ll throw yourself out of balance, which is the exact opposite of what you want to do, right? Basically, the idea is to massage your entire body starting with your head and working your way down to your toes. The stroke is light and the concept is to spread the oil well, so that every cell is nourished. It’s not a deep tissue massage. You can do it in the shower, in which case you will want to be careful not to slip, or anywhere else for that matter. Just use an old towel as a bath mat to catch wayward drips. Also, to prevent shower drains from getting oil build-up, occasionally pour some vinegar and hot boiling water down the drain and let it sit for awhile. Make sure the room is warm. Use a small space heater if necessary. Pour some oil in your palm and spread it over your entire body from your head to your toes. By the way, if I’m not shampooing my hair, I usually just massage my face and ears, not my scalp. Then go back and massage your body using long strokes on areas, such as your arms and legs, and circular strokes around elbows, knees, etc. Don’t forget often-overlooked areas, such as the soles of your feet, fingernails, and ears. Finally — this is the important part — leave the oil on for at least 15 minutes before showering it off. Use the time to sip some lemon water, meditate, do yoga, shave, brush your teeth, tweeze your eyebrows, sing a song, whatever…Just leave the oil on long enough. Take a warm shower or bath. By the way, if you put oil on your hair or scalp, put shampoo on it first, before getting it wet. That way you’ll have no problems getting the oil out. Otherwise, you’ll be sporting a grunge look.